This Saturday (Jul 24 2010), EveningHour saw a meet and an interaction with the renowned speaker and author Venu Bhagavan. Having received recognition after delivering 700 inspirational talks on different topics, it was an open-discussion with the author. 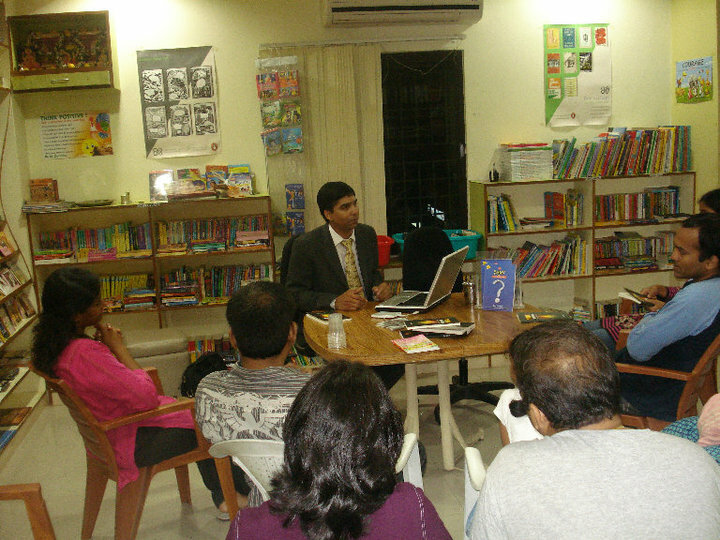 Despite being a rainly evening, it had no adverse effect on the amount of people who joined the discussion nor in their enthusiasam. The author started with a self introduction. His personal story has been rich with experiences:- brought up in a village, no formal college education, taking up small jobs in workshops, turning into business, learning English and finally discovering the speaker and writer in him. Given that his own life is an inspirational success-story, his discussions were involved around real-life incidents. After the self introduction, the attendees were asked to introduce themselves. After each introduction, the author responded to the viewer's expectation from the discussion. The viewers poured in their opinions and queries in between. 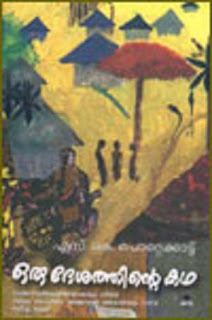 The response which the author gave was with lots of anecdotes and stories to which the viewers were able to relate easily. One of the discussions was surrounding how anger can be used positively, to which the author replied 'Anger is good when used at the right person for the right reason at the right intensity and in the right tone'. The numerous lines which the well-read author quoted and anecdotes he explained stated that he is not only an author, speaker, but also a profound thinker. The author often talked about spirituality, effects of Karma and the dual nature of human mind. It proved that what we need in the society are not psychologists but philosphers- he himself seemed to be one. He was also extremely patient in responding to a number of questions which a little boy from Delhi Public School asked. He showed the parents present, by example, how to listen to small kids and how to nurture their inquisitveness. What the meet perhaps lacked was a concrete topic. The discussion sometimes lost its direction. It proved good in some ways as the meet's purpose was an open discission. Because of this, the viewers were able to show the freedom to ask anything and everything. In total, it was a very relaxed evening. The meet kept the viewers so interested that it went on after its scheduled time. 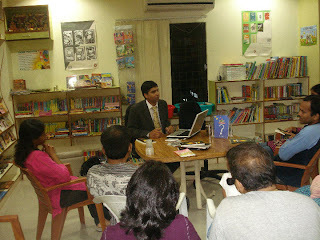 The author also stayed back after the formal discussion to address personal queries. It was evident from the viewers' faces that they left the event with some of their questions answered. I dropped in lil late as I didn't plan in advance. "Pain of Discipline or Pain of Regret?" take your pick. Pain of discipline is few milligrams against the tonnes of pain of regret.